Ticketfly, a subsidiary of Pandora, takes pride in being the world’s most powerful platform for connecting fans with live events. Its strong ticketing, digital marketing and analytics software helps promoters sell more tickets, streamline operations and increase revenue per attendee. All while simplifying the process for fans to find and purchase tickets to the largest live events in North America. 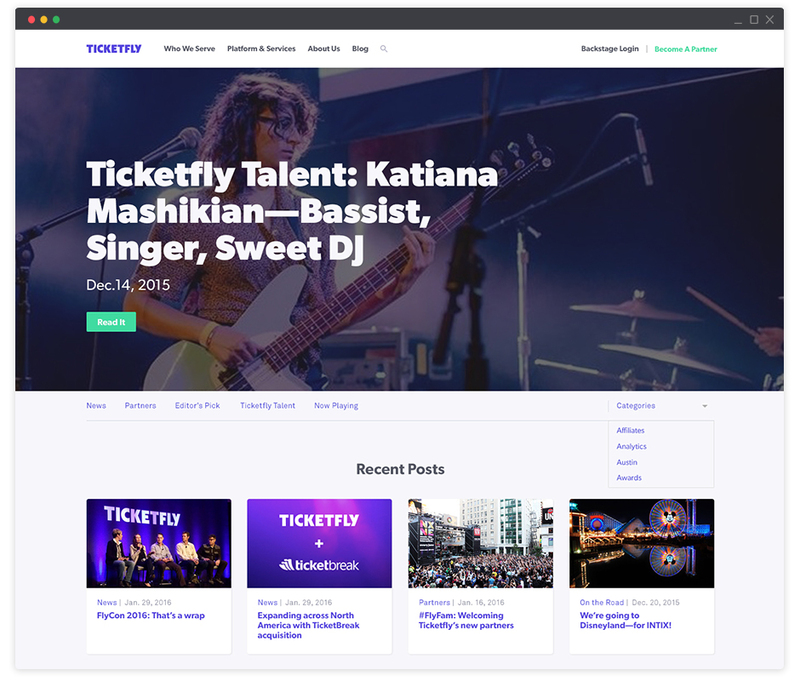 Named one of Fast Company’s “Most Innovative Companies in Music,” Ticketfly was in need of a website refresh that could amplify its digital presence and strike a chord with its users. Ticketfly’s old site lacked relevant content and failed to reflect the new brand and vision its was aiming to adopt. The outdated design and website layout made it difficult for users to understand the depth of Ticketfly’s robust technology and service offerings, and often resulted in Ticketfly being labeled as a simple ticketing company. As a result of the poor structure consumers were also struggling with confusing and annoying user experiences on the platform. In collaboration with the Ticketfly team and key stakeholders, we completed an extensive discovery phase. Together, we worked to identify the main objectives and goals of the project to later be used throughout the strategy process and as benchmarks for future evaluation/results. During discovery, we took an in-depth look at the current feature set of the start.ticketfly.com website. We then devised a plan to refresh and enhance the site’s information architecture, theme design and navigation so that it could better communicate with Ticketfly’s target audience. Our main goal: show off the depth of the company’s service offerings, in addition to providing a more simplified and improved user experience. On the front end, Ticketfly’s revamped website is focused entirely on user experience. 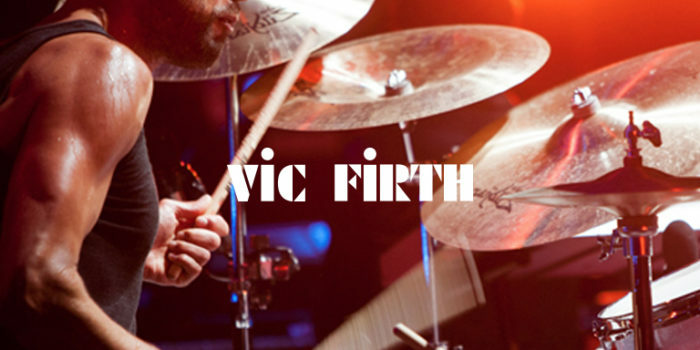 The site inspires potential partners and customers to utilize the platform to connect with the largest and most engaged live events audience in the world. 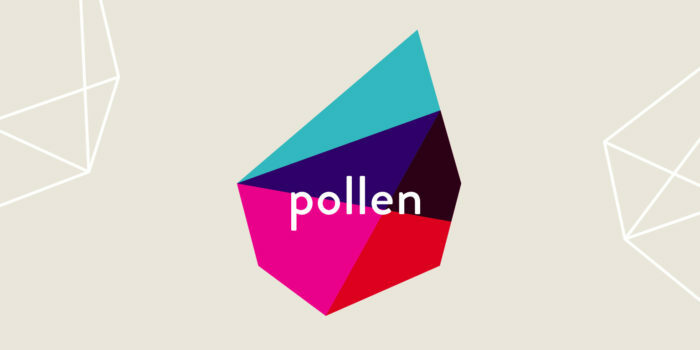 All imagery was updated to reflect the new aesthetic and better portray the improved brand platform. 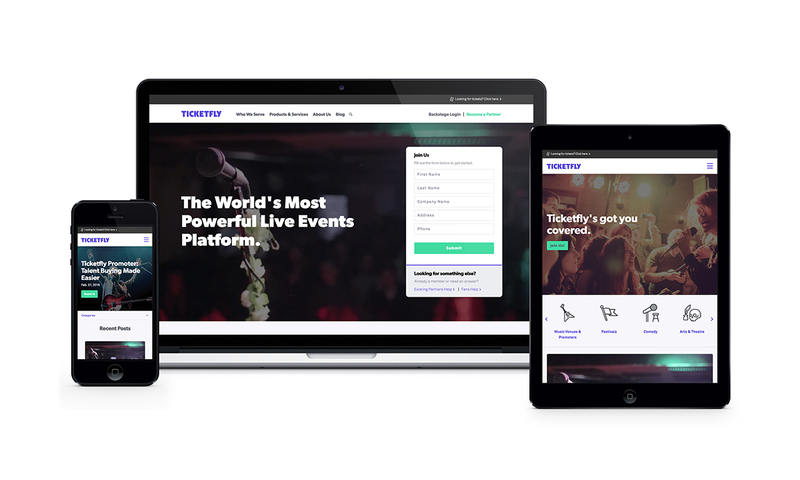 Designed in a simple, stacked module style, the new website makes it easy for Ticketfly’s internal team to continually add, remove or rearrange content without disrupting the flow of the site. 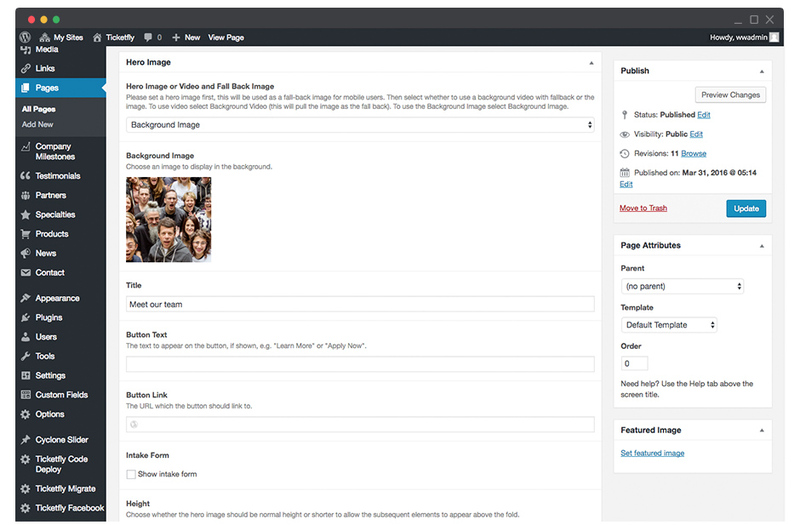 On the back end, we began by reorganizing and restructuring the website’s content to provide a better user experience while keeping mobile front-of-mind. We simplified the navigation, then integrated a number of third-party services into the new site – including SalesForce and Marketo – allowing Ticketfly to more effectively track site visitors and nurture MQLs and SQLs through the sales process. Going forward, they can now create new landing pages to support strategic campaigns and generate leads with ease. Ticketfly’s new site boasts a look that goes far beyond a simple ticketing service. Along with sharp new imagery, the content has been refreshed and is now easily consumable on mobile and tablet devices. Start.Ticketfly.com now succinctly speaks to the revived identity of the company and spotlights its robust list of capabilities and service offerings.